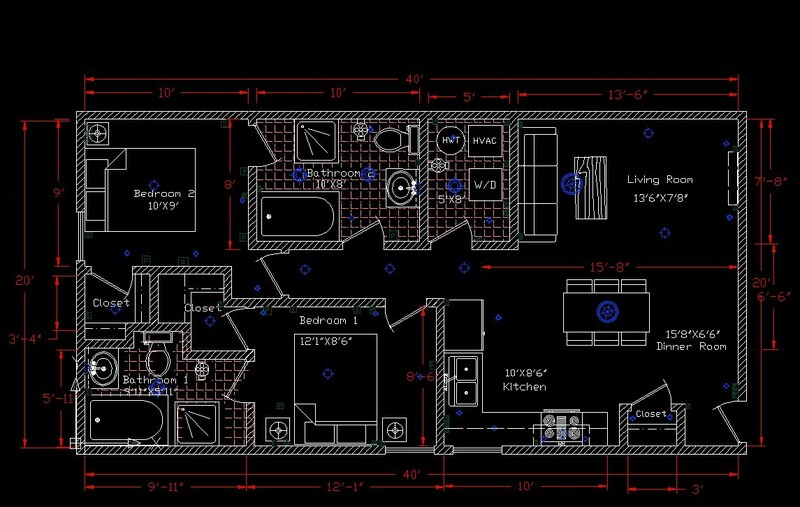 At my Gr.11 Technology class, we designed apartment and we have to use Auto CAD to draw my apartment. We never use the Auto CAD before, thus my Teacher let us to draw a Mountain Cabin Scene with Guide book which can tech you step by step. The graph is my Mountain Cabin Scene. I draw this by followed the Guide book. After i finished this, i almost get how to use AutoCAD; it’s really helpful to new users. This is my APARTMENT, i spent two weeks to draw this. This a 800 square feet apartment, it has two bedrooms ans two bathrooms; and all furniture are showed. 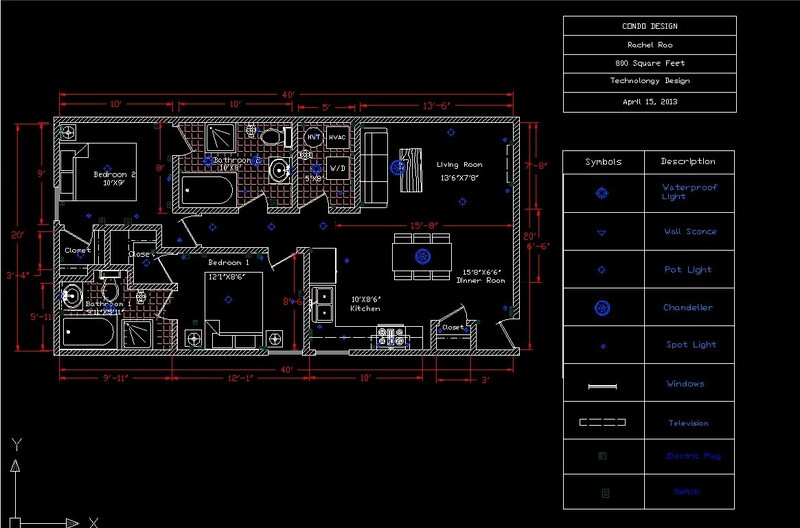 All furniture provide by the system of AutoCAD. A good condo floor layout everything, the name of spaces, the size of spaces and details of furniture.